Sometimes, I really miss the standard job. I feel like crap today. If I had a regular job, I could declare Sunday a day of rest and vegetate, watch movies, play videos, nap with my kittens.... But I don't have a standard job. My job is with me all the time - weeks, weekends, day, night... Most of the time I don't mind it - love it in fact. But today... bleh. 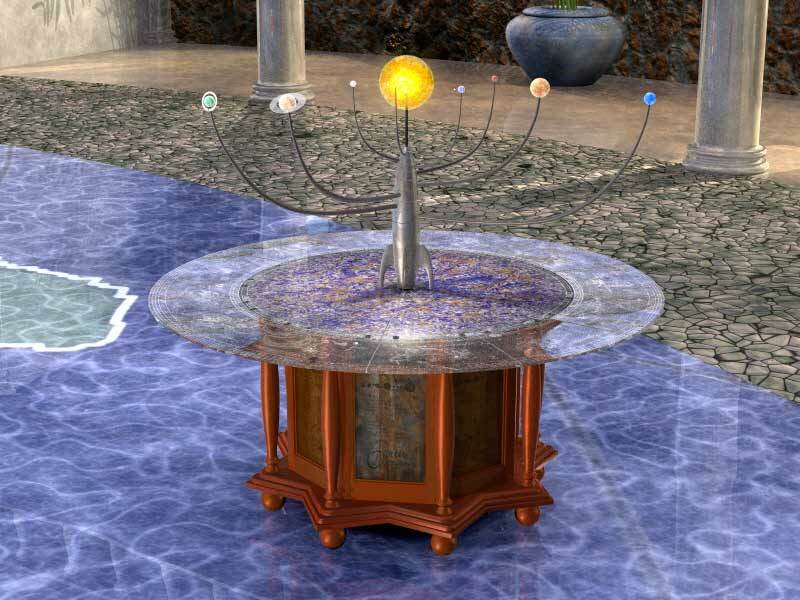 I was going to do some finishing work on the base cabinet of the 6 foot wide orrery above. I have all the pieces cut and trimmed. Some are already stained, but need to be varnished. It's hot outside though, so I can't do that. The instructions say not to apply it if it's over 90 degrees. So I move on to the next items. I have gotten some good work done today - more stuff on my website, research. I can't believe I've let my website sit there for four years with nothing new on it!!! I'm ashamed!!! But I've been making up for it. 28 new art pieces up there so far. I haven't coded the sales pages for them yet, but that's coming along. I have all those coded for the older pieces so far and getting into the newer pieces now. But I sure would like to go take a nap with one of my kittens..... 20 minutes couldn't hurt....right??? ?